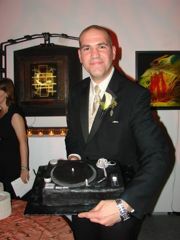 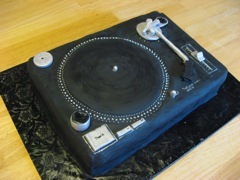 When I got married in November 2009, my wife surprised me with a custom-made groom’s cake modeled after a Technics 1200 turntable (well, a 1210 actually). 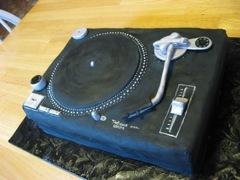 Easily the most badass cake I’ll ever eat. 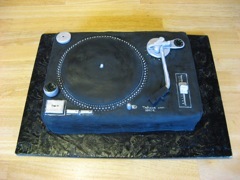 The cake was made by Luscious Layers in Chicago.